Brewed Awakening Apple Cider by Caribbean Cloud Company is a new take on this seasonal favorite with crisp apple cider sweetened with a drizzle fo caramel and a dusting of warm cinnamon for a delectable vape you'll crave all day. 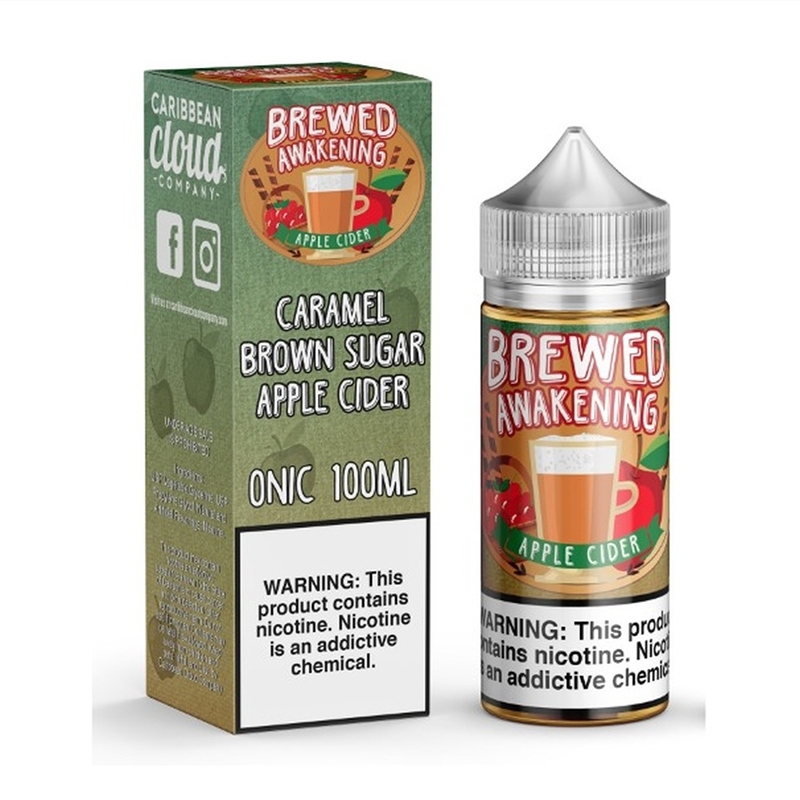 Try this delicious apple cider beverage vapor in 100ml bottles today. It's like vaping the taste of autumn every time you inhale.